Home > Foodie, Social Media, Twitter, Uncategorized, Washington Wine, Wine, Wine and Social Media	> Tasting 200 Wines in 3 Days: Sensory Overload? This is a great conversation. Personally I would NEVER score wines in the format presented at events like Taste Washington or the Wine Bloggers Conference. There are too many factors to cloud judgement (room smell, other wine, palate fatigue, etc). I may remember a few as “stand out” wines and would potentially sit down and revisit them for a more formal analysis but wholesale scoring across the entire lot of tasted wines is NOT something I agree with! I do take notes during grand tastings but I never write full reviews. Those notes go into my files and I use those notes to help me decide which wines I want to purchase and do a proper review of. I also use those notes to gauge trends across varietals, wineries, regions and vintages. They add to my attempts of getting the big picture of a wine. I don’t think it’s possible to accurately score a wine in that setting at all. You may get a glimpse of what the wine is like, a quick peek into it’s character. Whether or not the wine is memorable will definitely be answered (MollyDooker Velvet Glove anyone? )but trying to assign a score or serious sensory evaluation is futile. I agree with Josh, externalities will definitely affect your senses and could even dull them. I think this is an excellent point. Having only about 5 years in the industry and being a relative newcomer to speed tastings/en masse tastings, I’ve thought about this issue a lot since my introductory experiences didn’t yield much in the way of increased wine knowledge. Palate fatigue is a definite killer for me. More recently I’ve tried to approach these events as a brief introduction to the wines and make a point to hit wines I’m most curious about early in the event (duh) and then focus on the networking and other knowledge I’m able to glean from the winemakers. Then I *do* go home and try everything I can with dinner! I can’t imagine what it must be like to have to judge/make serious scoring decisions/write meaningfully at an event like this; very difficult at best considering all of the factors you mentioned. Kudos to the pros doing all they can, however! Everyone is different with regard to their tasting procedures, concentration, focus, etc. Certainly, you must spit and refresh your palate every so often in a large tasting, but if you do so, there is no reason you can’t score wines accurately, even though you don’t have the time to write a detailed review. I’ve been doing this a long time, and have often compared our scores in this type of environment vs tasting the same wine in another setting, and they are very close. The biggest problem for us in this setting is not the number of wines, but the fact that we are not tasting blind. Thanks for the comments Jon. I suppose I mean that the average wine blogger does not have the years of experience tasting wines en mass. As for your comment about blind tasting… have you ever been to a blind tasting with over a hundred wines poured? I would love to attend or organize something like that. You know, with so many wines available at the conference, I actually mostly limited myself to tasting wines I hadn’t had before (or at least those that were unfamiliar to me). This meant that some of my faves, like DeLille or Woodward Canyon, were ignored. . . and that I spent more time at places like the sherry table and with Lake Chelan’s lineup. It was really fun to try a bunch of new flavors and to get a sense for what else is out there. Ultimately, I think that is what large tastings like this provide. A “sense” for what is out there, with a few personal favorites and highlights that stand out. For instance, I was pleasantly surprised (shocked, really) to discover that there was a decent Washington pinot noir out of the Chelan AVA. I already know that we have some of the world’s best syrahs, but pinot? 🙂 I actually had to address my own pre-conceptions. Several people at the conference told me about wines that surprised them or the general styles and trends that were catching their attention. Over and over again, I heard raves for DeLille and Buty and semillon white blends in general. I’ve seen this mentioned in a few blogs as well. Even for those wineries that don’t get specific mention, it is a good thing to get the kind of press that comes from a lot of positive reactions about a type of wine. 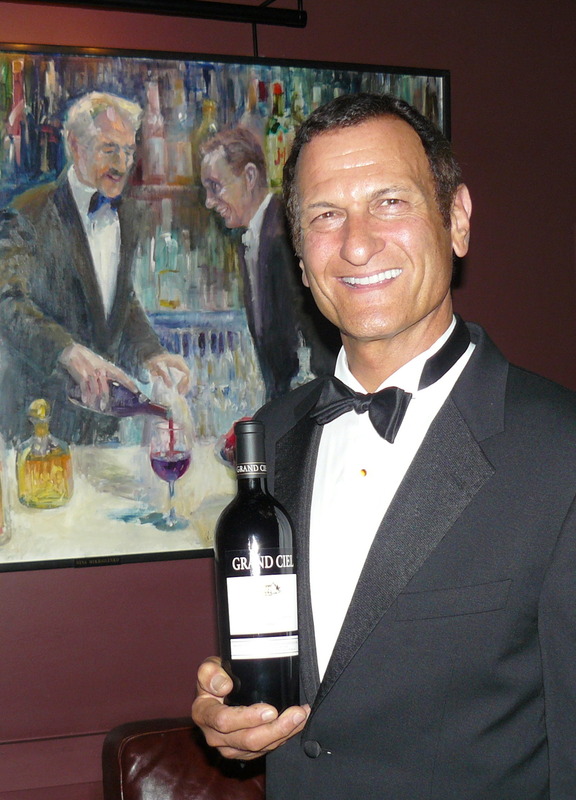 . . or the general upbeat and super-nice winemakers that characterize Washington state. . .
For me it was the noise in the room more than the number of wines. I go to lots of trade tastings and am able to write decent tasting notes but the night at the MW hotel with all the WA wines I was so overwhelmed by the noise and the crowding that I simply couldn’t do it. At some tables it was total chaos. So I know that I probably missed out on some great wines. Jay was incredibly accessible and I feel very lucky that I got on the bus that tasted Delille, Buty and L’Ecole because those wines were my “find” of the weekend. I was already familiar with Delille from my retail days back here in NJ but I did not know the other two, nor did I know that these Bordeaux style white blends have such potential coming out of WA. I commented on Paul’s post that I wished it was all WA wines for the entire weekend. I understand the need for sponsors but I kept hearing about the 700+ WA State wineries and was wondering why there were not more of them present at the speed tasting and lining the hallway tables during the day. Attending the pre and post conference events gave me a better opportunity to taste and assess and I highly recommend those venues to others. Very telling interaction with Jay. I was very impressed with Jay while talking with him at the sponsors tasting as well as on our Post-conference tour. Interesting to note about the difficulty with measuring marketing ROI as it relates to interactions and impressions… yet, the detractors of social media want to build their case against it by throwing that term (lack of ROI) around. Think Outside the Box: What’s With the Weird White Wine? 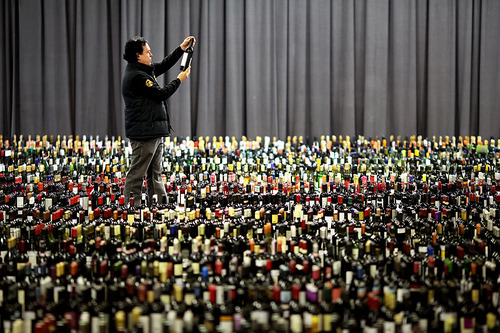 Inside the Head of The Owner of A 9,000 Bottle Wine Collection!